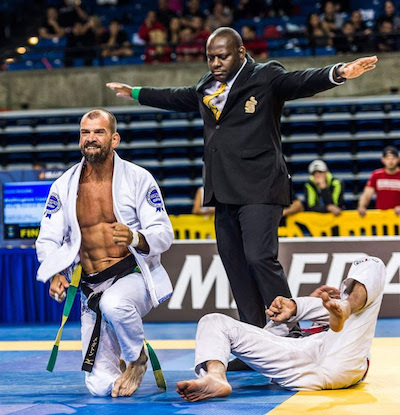 A seven-month process hosted over six continents to qualify for the World Professional Jiu-Jitsu Championship in Abu Dhabi next month ended last week in Gramado, Brazil. San Diego was one of the host cities to the trials not that long ago. That the southern California city is one of the host sites is entirely fitting. It was there, while watching an Ultimate Fighting Championship (UFC) pay-per-view telecast almost two decades ago, that Sheikh Tahnoon bin Zayed conceived the idea that changed the landscape of grappling arts forever. Super heavyweight Bob “The Beast” Sapp will return to action on Friday, March 11, against Stav “Crazy Bear Economou in the United Arab Emirates. MMA insider and Yahoo MMA aficionado, Kevin Iole, sheds some light on the advantages of selling 10% of the UFC to the UAE. He “guesstimates” what the purchase price was and also gives an estimate on the UAE’s net worth. April’s UFC 112 headlined by B.J. Penn vs. Frankie Edgar is expected to take place in Abu Dhabi. However, no one seems to think this land that apparently flows with milk and honey can come up with a suitable venue.